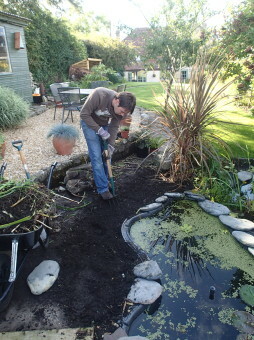 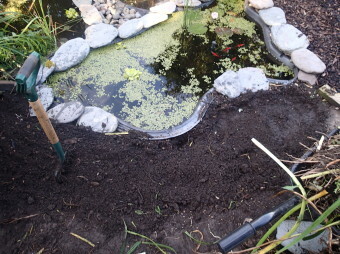 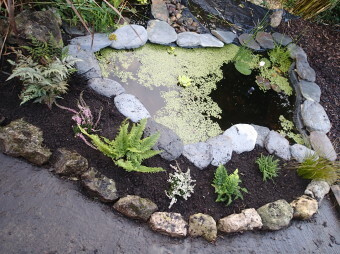 We’ve finally sorted out the side of our pond. 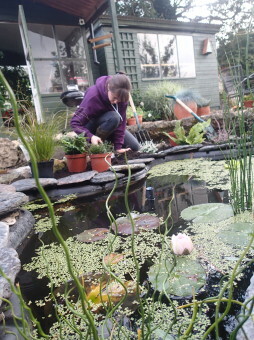 After clearing the pond back last winter we thought we’d wait to see what popped up around the edges. 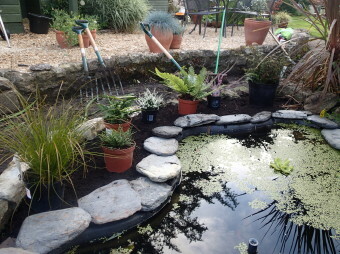 Turns out there were huge numbers of lily bulbs and they were really too tall for the space, so we’ve taken them out and replaced them with a selection of different ferns. 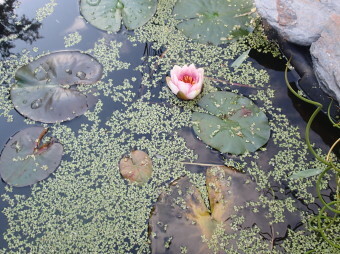 We also have our first flowering lily pad on the pond! 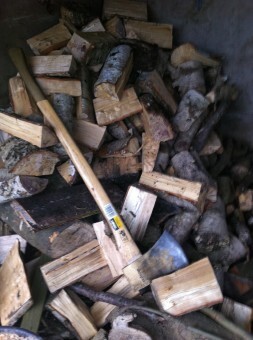 Dave – with an axe! 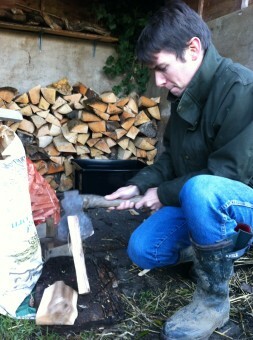 Dave certainly enjoyed his first wood chopping session today. 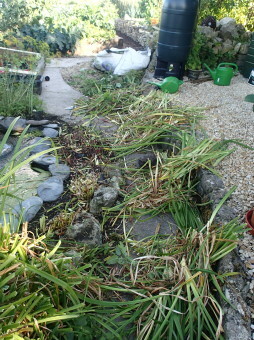 He’s already talking about the woodshed he plans to build to replace the fairly leaky one we have – maybe a project for the summer months. 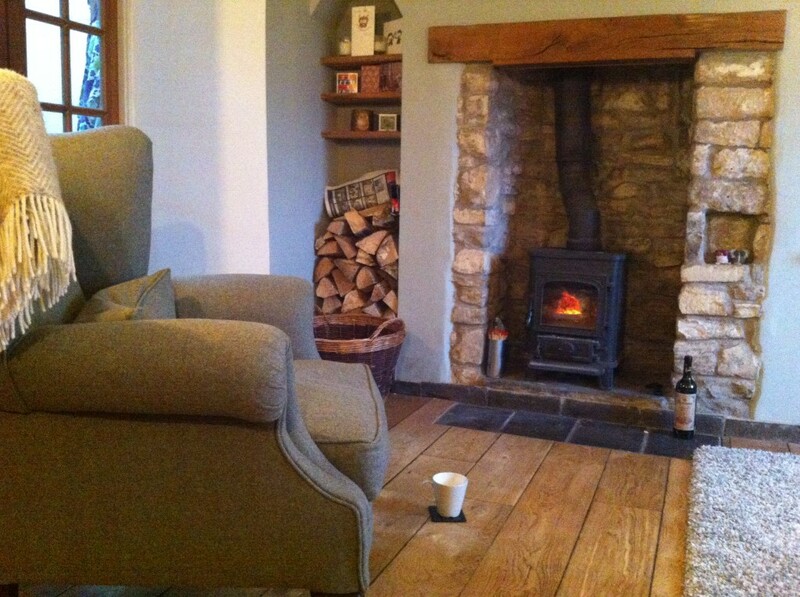 For now though, it is time to put my feet up in front of this lovely roaring fire – after living with no heating for the last six months this is true bliss!